It no secret that JPhelpz continues to keep bass music alive and well with his ever-evolving signature sound, so it should be no surprise that his newest Murk Em EP bursts on the scene via Firepower Records with the sole mission to obliterate everything in its tracks. 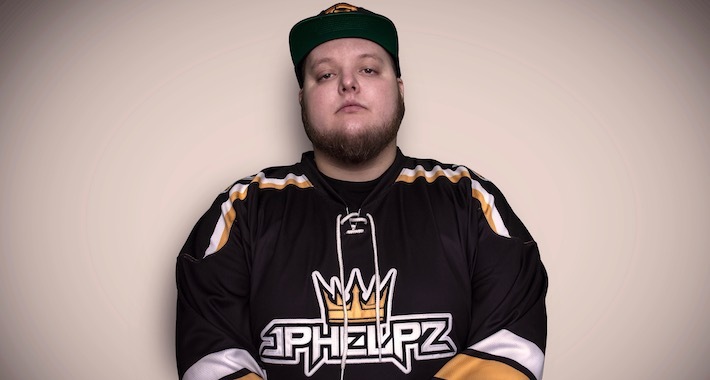 Reigning from St. Louis, JPhelpz continues to not only set the bar at an all-time high production-wise but continues to bring spicy flavor to the already savory and ever progressing scene that is bass music. In anticipation of his latest project, we caught up with the bass man himself to chat about the Murk Em EP, his journey as a producer, and what’s to come for the rest of 2018! Check it out below and make sure to grab your copy of the EP here, as it hits the streets this Friday. Tell us a little bit about how you got into production. I’ve always really enjoyed creating things. At one point in my childhood, I remember playing a music loop-based video game that blew my mind, being able to combine elements to make music really fascinated me. A friend of mine then showed me FL Studio, and I was hooked. I began making techno, rap beats, whatever I felt like. I never anticipated that I would produce music for a career, but I honestly couldn’t ask for anything better because I get to do what I love. What is your favorite part of being an artist and being a part of this community? Making friends all around the world is something really cool to me. I have met some really cool people from all over, and it wouldn’t be possible without traveling as an artist. Some shows feel like a family reunion because you get to see lifelong friends and other artists who you haven’t gotten to see in a while. You’ve been releasing projects with Firepower Records for years now! Can you share a little bit about how that relationship began? You have a really unique style when it comes to your production—how did you come to discover your very own sound? When I first started producing, I actually had a very sporadic and random song structure. As I spent more time DJing and observing how songs make crowds react and what qualities make a track easier for people to mix into, I simplified my structure and made more dancefloor friendly songs. I really enjoy where my sound is now; I like to think of it as a sort of bouncy mechanical vibe. My goal is to create clear and clean sounds. The extremely heavy dubstep tracks don’t appeal to me as much anymore—it’s great in intervals, but in your face for an extended time is too much for me and most people, I believe. Some of (my) music made its way to Datsik's ears. The night of a show I was playing in Texas, I received a tweet from him asking me to 'join the FP family.' It was a pretty badass way of being asked to join Firepower. Tell us a little bit about this forthcoming EP. Is there a particular place you found inspiration from for it? Two of the heavier songs, “FVCK THVT” and “Murk Em,” were tracks I had finished up to play for the first time at Lost Lands. It was exciting to see the crowd reaction and the tracks always get a good response. From there I finalized them and rounded out the EP with two other tracks. How does this EP compare to all your previously released material? These are definitely some of my best productions, especially with the mixdowns. There is a good variety on the EP. “Murk Em” is essentially my original style taken to a new level, “FVCK THVT” is a more modern take on a bouncy dubstep vibe, “Say Gudnite” is a simple bass house track that I received a lot of good feedback from and I personally enjoy listening to myself, and “Watch Me” is a trap hybrid with some catchy hooks. That’s my take, anyway. Do you have a particular track off the EP that you are especially proud of? I honestly really like “Watch Me,” maybe because it’s the newest of the four tracks and I am sick of hearing the others! [Laughs] No, but really, I love the chords progressions and filtered intro, leading into a really nice drop. I especially like the vocal samples (“WOOOP!”); they give the track some hype and a good flavor. What do you hope your fans take away from this EP? Hopefully some good listening and I hope to reach some new fans as well. Is there anything you can share with fans to keep an eye out for that you have in the works? Shortly after the Murk Em EP comes out, I will have a sort of deep experimental single on Firepower. Definitely interesting and something to look out for; Datsik has been dropping it on his tour so you may have heard it already! And of course, more free music and a production tutorial. Any special shout outs before we wrap things up? Big respect to Bassrush for supporting the scene!